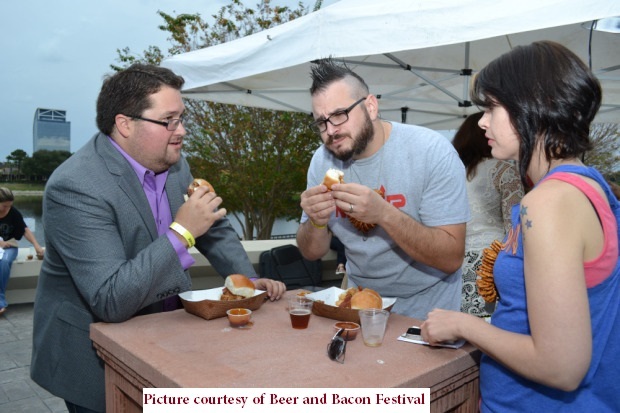 It was Beer and Bacon Festival‘s second year on November 8th. 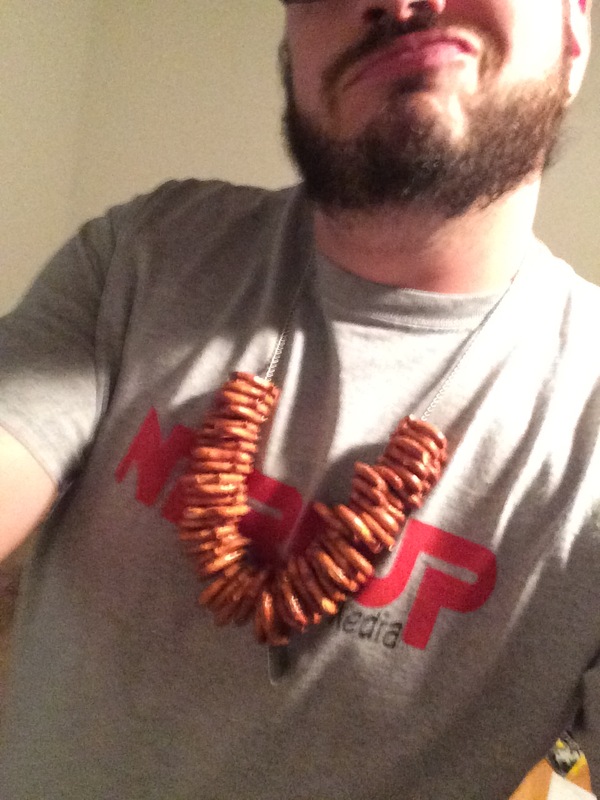 It was set up pretty much the same as I remembered from last year…. but with bonuses! * My husband and I arrived early at 3PM and found the first surprise. The festival bought your first pour! If you purchased a band for the unlimited beer sampling, you received a ticket to stop by the first tent and get a beer! This was nice, because the beer sampling didn’t actually start until 4PM. Not a big deal though. 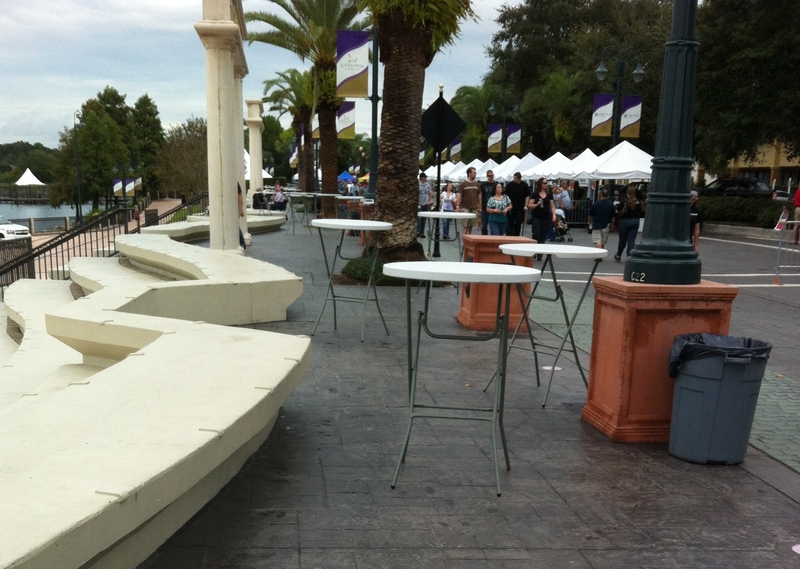 All the food vendors were up and running and there was a cash bar for full glasses of beer or non-alcoholic beverages. I personally think this is a fantastic way to start the event. 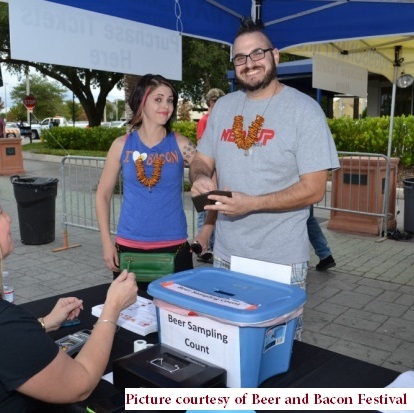 It allows those who don not want to participate in the beer sampling to at least have an hour to sneak in and try out the food, with the option to purchase a single beer if they would like. Genius! * We were joined by our friend Tyler and ran into a friend we haven’t seen in awhile – Jeff! * Like I said, the set up was pretty much the same, but now extended! 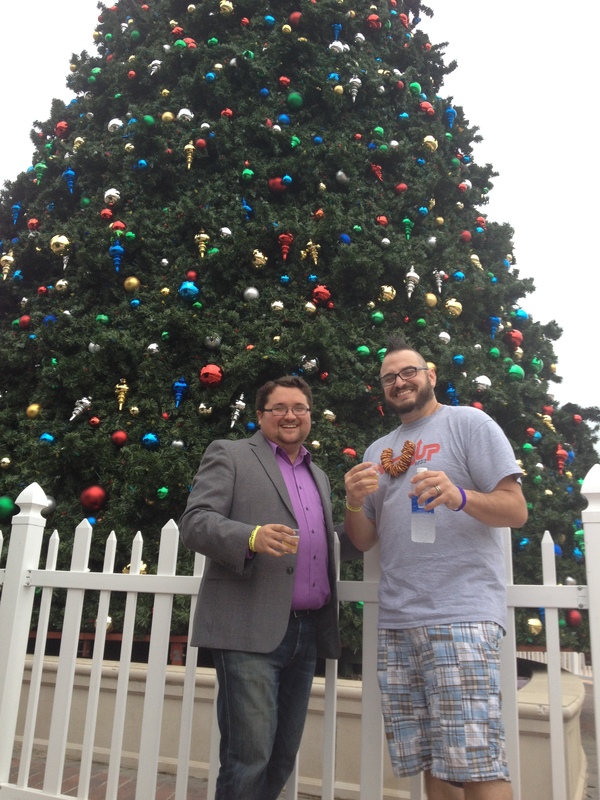 They included a Florida Brew Garden! It was pretty fantastic. My favorite beer from the Florida Brew Garden surprised me: Grapefruit Gose from Florida Avenue Brewing Company. It wasn’t heavy with tang of grapefruit and had a bit of a salty aftertaste. I really liked it. Maybe because it was so different from everything else there. But it was a nice change. 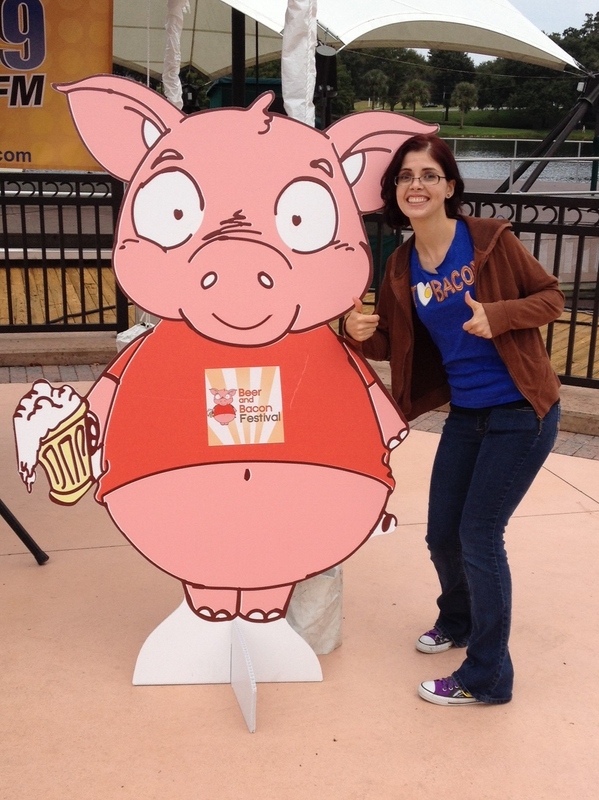 * I also have to point out the fact that the giant cardboard pig was no longer hanging out next to booming speakers, making it impossible for photo ops. He was now traveling around the festival and found himself under a tent up with the festival. I did have my picture taken by someone with the festival, but my picture did not make it on to the website with all the others. I’m pretty disappointed about it. But I will live. * And 4Rivers once again blew the place apart with their amazing food. We ordered 2 sliders to try, but they made a mistake in the type we asked for. We simply said it was no big deal and that we would eat anything. 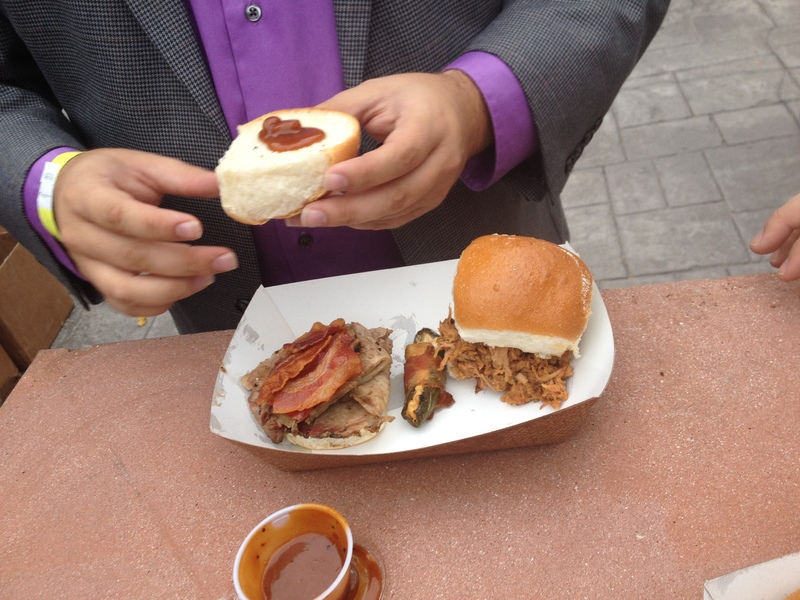 So, they gave us three (Pork, Chicken, Brisket). 🙂 For realz. Tyler indulged in the 2 Slider & 2 Jalapeno Poppers Combo. Everything was amazing! Freshly made, warm buns, crispy bacon and juicy meat! * Another thing I would love to point out – no tents promoting exercising and wellness. It really was just the hula hoop people I couldn’t stand last year. I wrote about it in last year’s review. And no Whole Foods Market pushing their vegan bacon. They really were the two outcasts with the vendors and I was glad to see they were gone. * Pizza Hut??? 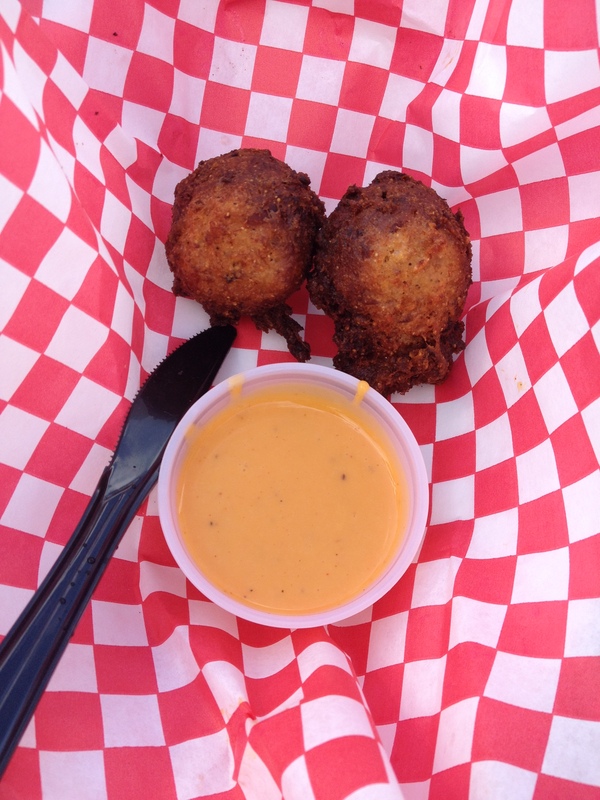 Okay, some may think this was lame to have them at the festival. But think about it. They made since. Kids will be there and they love pizza. Win win. And, people are drinking beer, what’s a great snack to go with it? Pizza. But the biggest point I want to make is what they were offering. Yes, there was plain cheese pizza, but I’m not concerned. It was the Bacon Stuffed Crust Pizza that has been exploding the Twitter bacon posts. And they threw in a Bacon & Tomato Alfredo Pizza just to satisfy you one more step. I personally do not like Pizza Hut’s pizza because of their crust and sauces, but I did feel this was a great marketing idea to be there and they definitely had a place at the festival. * Every person behind the pouring stations were smiling and in a great mood all night. Even when there was an obviously drunk and annoying person they were dealing with. * I was saddened by the options for food. This may have been a bit of my problem. I found myself being very picky. I didn’t want the pizza – don’t like Pizza Hut. And you know pizza can only stay fresh for so long. The cupcakes from Cupcake Crazy are past due in my opinion. It’s been done and I am always disappointed with the lack of actual bacon “in” the cupcake. I felt the same way about them last year. Terramia Ristorante’s food looked like slop and not very appetizing, same as last year. 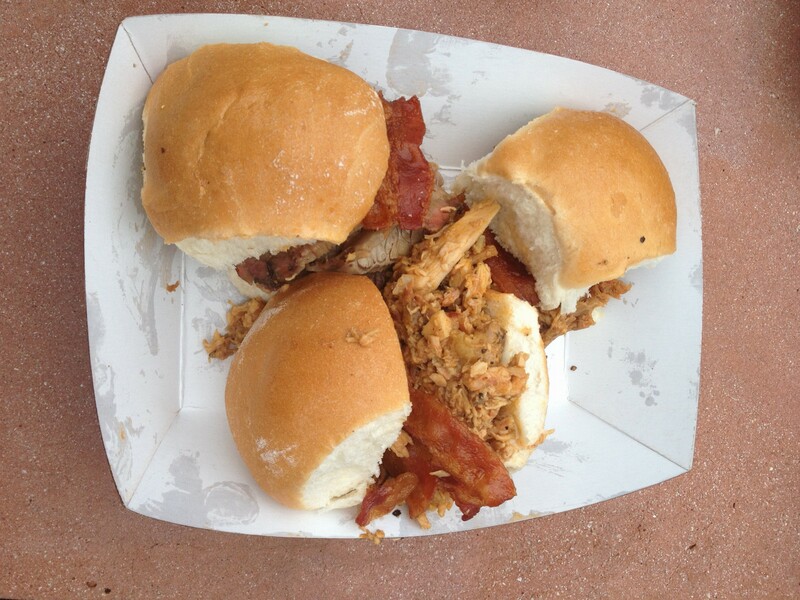 The Meat House offered sliders that simply looked like they added bacon on top. And the brussel sprouts they made looked overdone – I have my own recipe that I will stick with. But the worst…..
* The Hammered Lamb. I didn’t like them last year, and it seems that my opinion will remain the same. For some sad reason they had the grilled cheese on the list again. It was terrible last year. So bad, that I did a separate review for them. I wasn’t going to touch it this year. 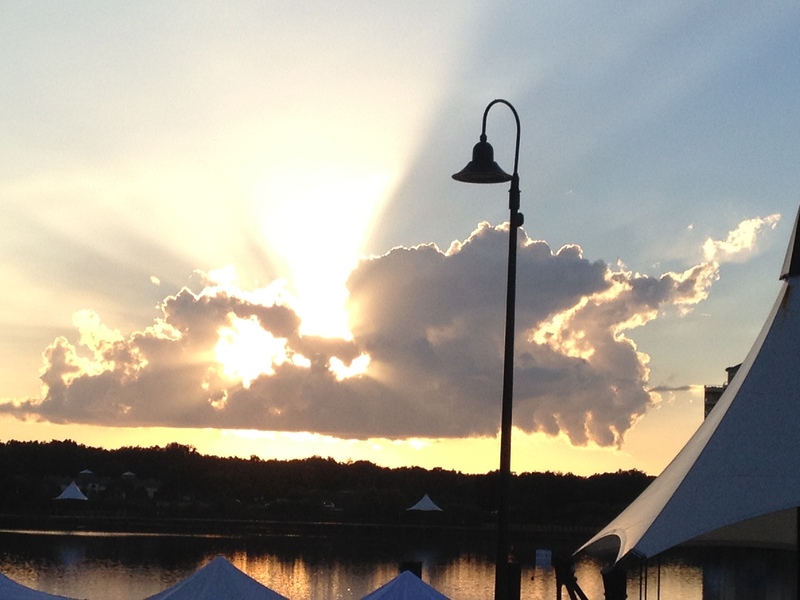 Nothing looked that great coming from the tent. We awkwardly leaned in on people to see what they got. 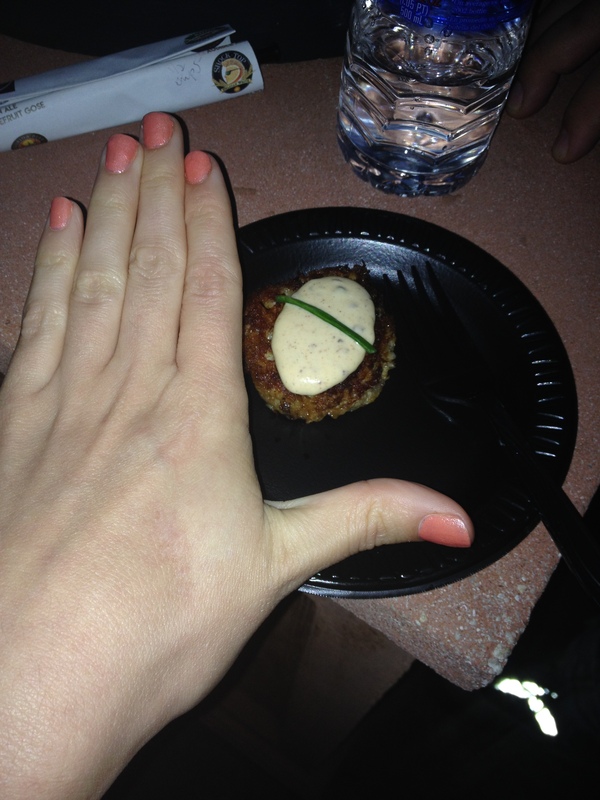 But no one was getting the Maryland Style Crab Cake Topped with Bacon Remoulade. I know, there must be a reason why. But for some strange reason we went for it. 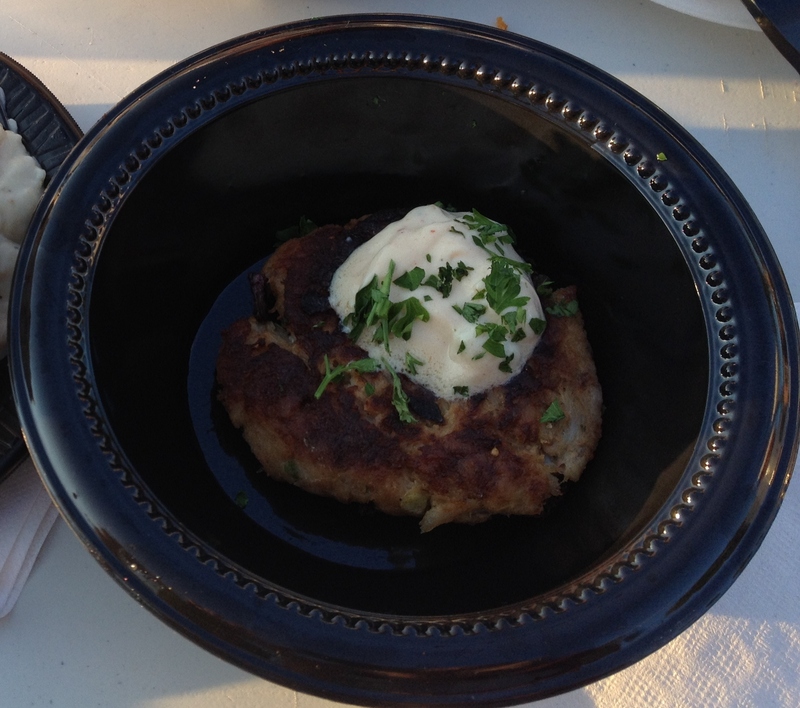 It was $5 for the tiny crab cake that tasted as if with frozen and quickly heated there at the festival. It was too soggy in the middle. Very bland. And the sauce had no hint of bacon flavor what so ever. The sauce just tasted as though they whipped up some mayo and threw it on top. No more chances. I WILL NEVER EAT ANYTHING FROM THEM AGAIN. * Oh Ale House. You were the highlight of last year’s festival. I gave you a top notch review. But this year you only has a bacon sample. And interesting sampler though. And you sold out too quickly. You left us with not many other options. I actually went in to the festival with the thought in my head, “Well, if everything’s a bust, we know there’s at least Ale House.” Not this year. I do find myself becoming more picky with bacon treats now. It’s hard to impress me. I feel I look for a lot when it comes to preparing a food with a specific item that is suppose to be known. I feel let down a lot. I’m not a great chef myself and can have a pretty bland pallet at time, but when I go to an event I am revved up. If I wasn’t there to give a review, I would say it was great in a every way. And that everything I ate was great. But I have done this quite a few times now, and my expectations are getting higher. The festival itself was very well organized. The festival as for beer was PERFECT! The bacon vendors I feel could be improved. I had a fantastic time in the end. I will return if they do next year. 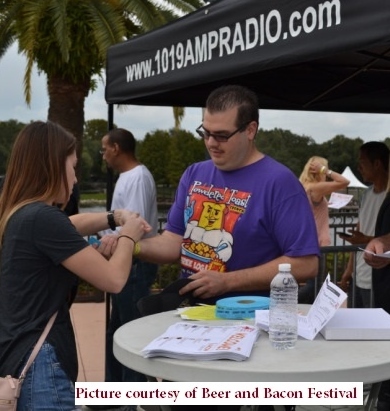 The Beer and Bacon Festival in Altamonte Springs, Florida was held on November 2, 2013. The event was advertised as an event offering unlimited craft beer samples with a purchased wristband. 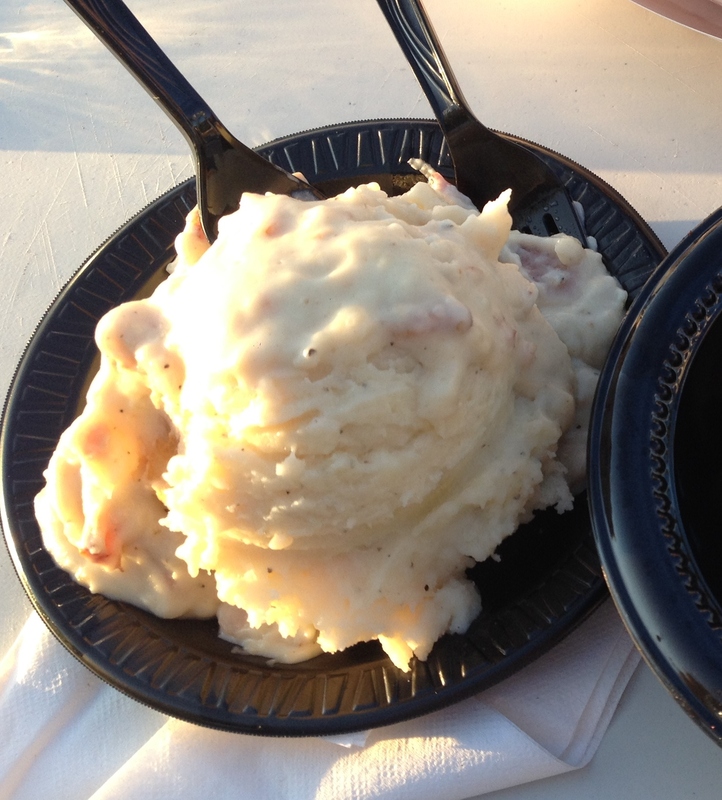 And there would be food vendors with bacon delights to offer for various prices. 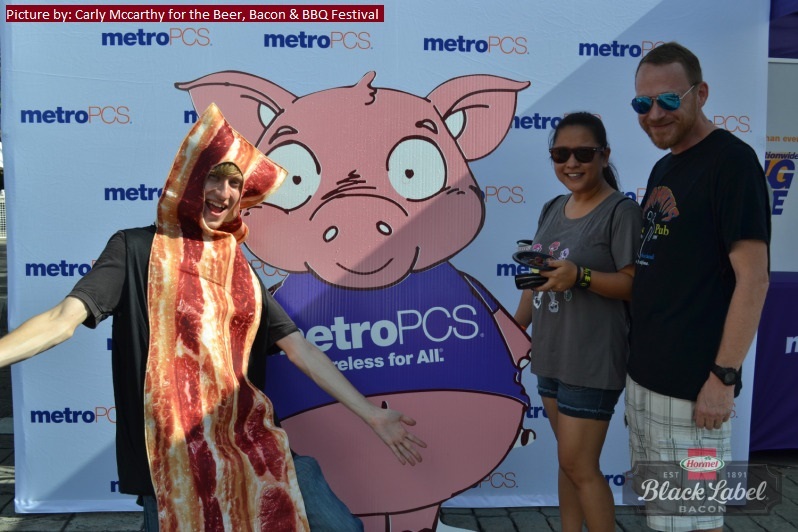 Unlimited Beer + Bacon + Within Walking Distance + Time With Loved Ones = Duh, We’re Going. My husband Ric and I were lucky to have family join us: My brother Jimmy, sister in law Robin, and nieces Cameron and Morgan. 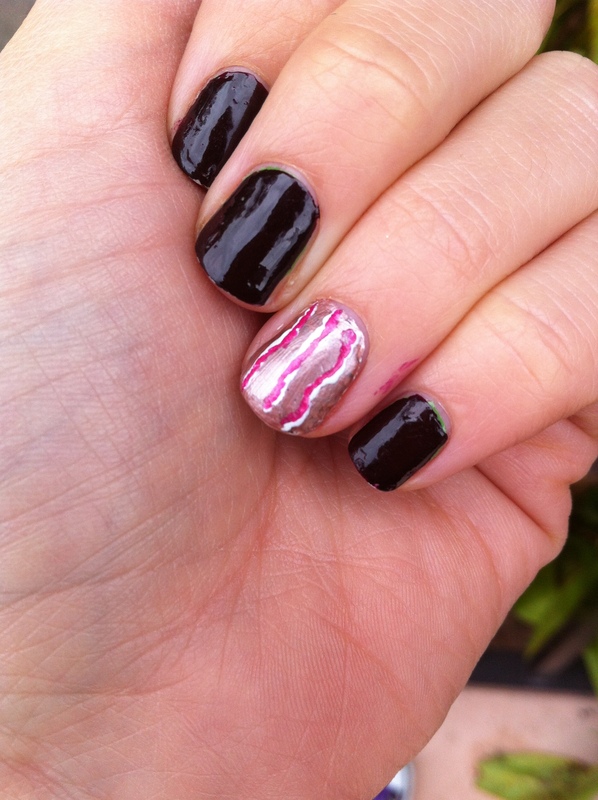 As usual, I made sure to do my nails up with the correct colors and decorated my ring nail with a bacon design. 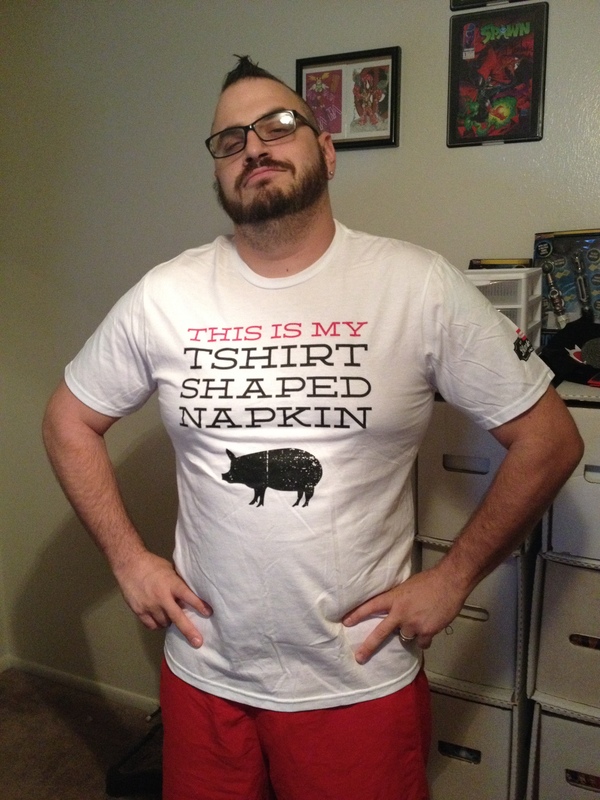 I also made sure to wear my bacon shirt I altered for the last bacon festival. * Loved where the event was set up. Near the water for a nice view, lots of steps to sit and relax, and the music set back next to the water at the bottom of the stairs. Having the music set up away from the event allowed them to play loudly and cover the whole event. Someone actually thought it out and I appreciate the detail in that. * When we checked in, I had my tickets on my phone through the Eventbrite app. When we got to the check in table, the woman said she wasn’t set up to scan in tickets from phones yet. I immediately though back to the last bacon festival and wanted to roll my eyes. But she quickly said she was just going to take a picture of the tickets’ QR Code with her phone and just check us in later. Just that little bit of quick problem solving already made this experience better than my entry to the Festival of Bacon in Orlando. 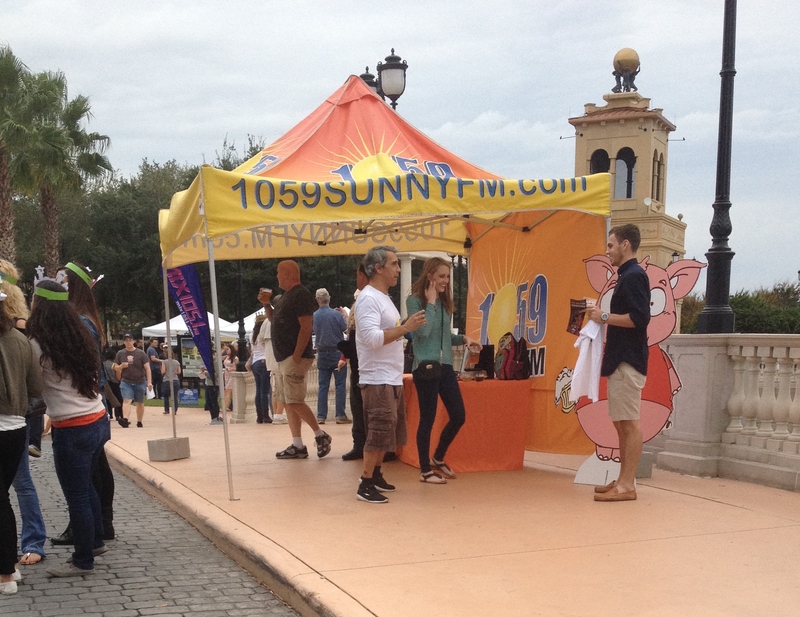 * There was a great set up that included plenty of places to stand or sit while trying delish goodies…. leaving plenty of space for people to move around. * They had two booths set up where you could purchase full glasses of beer, soda, water and other non-alcoholic beverages. 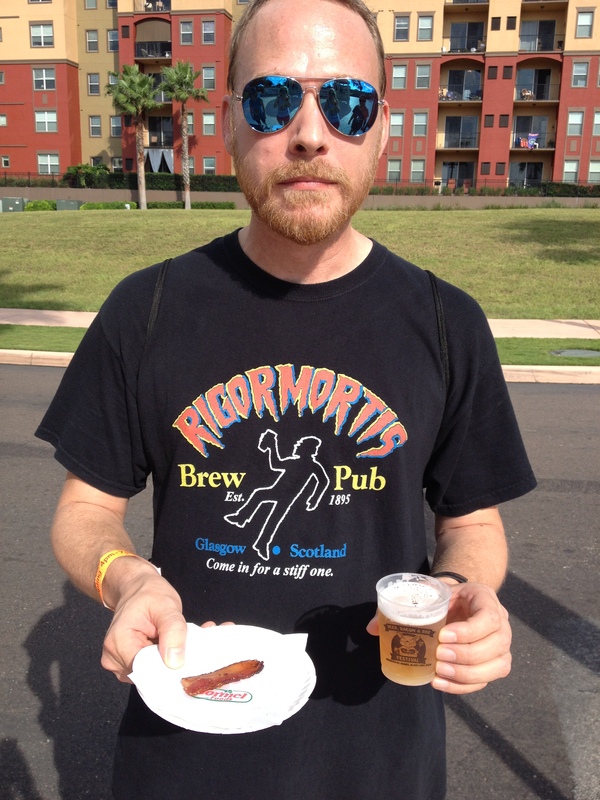 You didn’t have to purchase the beer sampling wristband to enjoy yourself at this event. Anyone could show up and enjoy as much or little as they wanted. * The length of the event was reasonable. They took into account the type of event they had and was realistic. There was going to be unlimited beer with your wristband and the lines moved quickly. There was only so much one can do back and forth. No games to interact with. So, why have it go for 8 hours? 4 hours was plenty! * The festival opened at 3 PM, but beer samples started at 4 PM. I felt this was a really smart move. 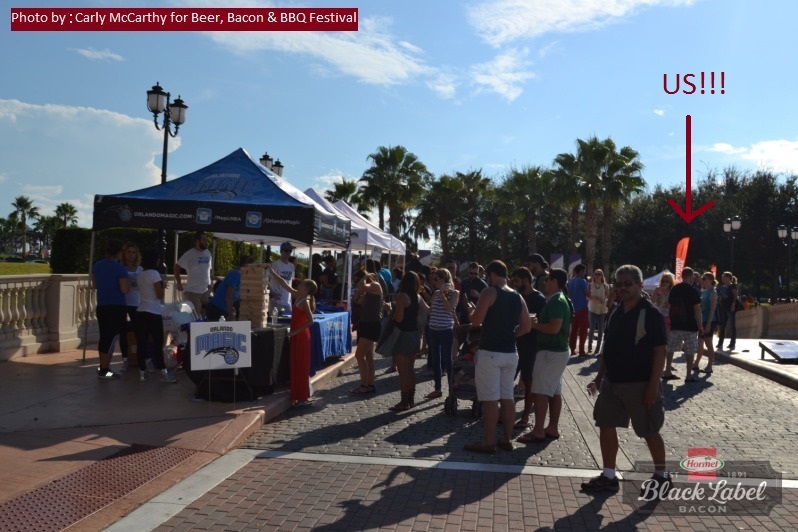 It allowed people to show up for bacon treats that either were not going to be drinking or at least wanted a head start on trying them out before the crowd showed up for beer samples. * There were not too many vendors not related to the actual event theme. I saw only a handful. The ratio was good. * 4 Rivers was there and as always they were a hit! We already knew their food is amazing (that’s why Ric and I had them cater our wedding!) so we didn’t try their food at the festival. I was going to try the Chicken Biscuit with Bacon and Maple Drizzle they had listed on the festival’s website, but they weren’t serving it at the festival. That was a downer. 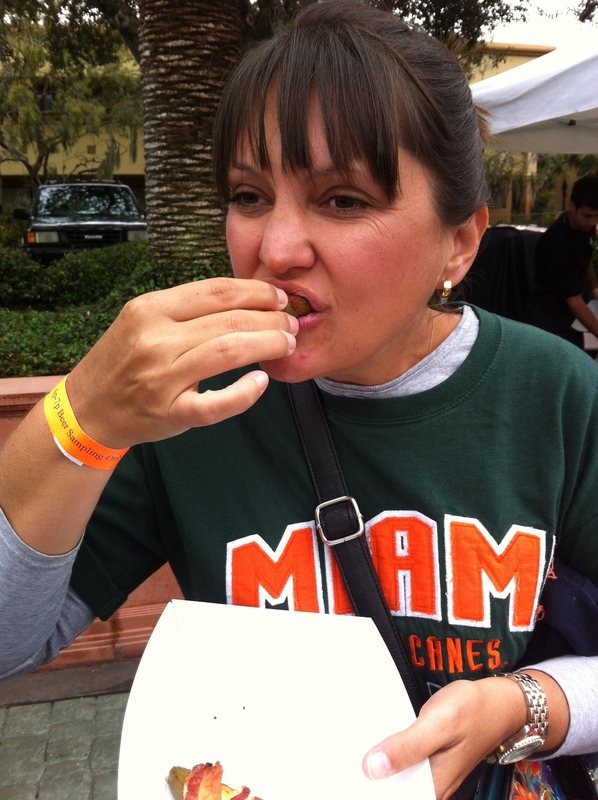 But Robin said she had not tried their Bacon Wrapped Jalapenos, so she did and she loved them! I was always amazed that such a simple combination could be so good. 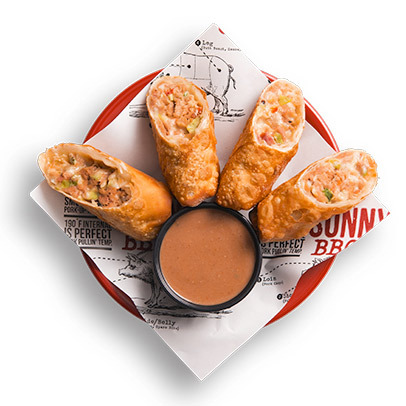 The smoky flavor of the bacon covers the heat of the jalapeno just right. * It was a nice surprise to find Casillero del Diablo at the festival! It’s a cheaper wine Ric and I have been enjoying at home recently and were glad to partake in some samples while at the festival. * Having MJ Frias Cigars at the festival was pretty smart! Unlimited beer and a nice cigar? Now that’s a relaxing Saturday! * I was so cute to see kids and even some grown ups getting a caricature done! It was a simple and fun addition. It added to the festival feel! 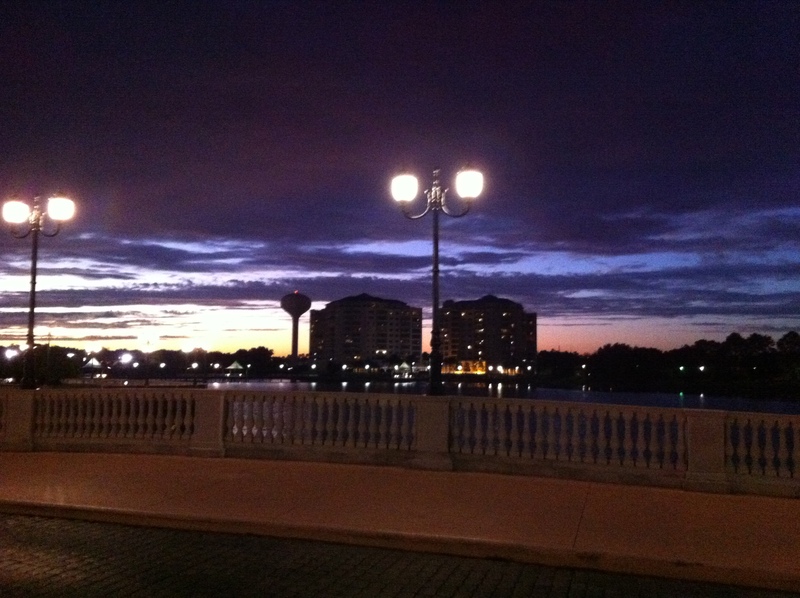 * There was a wonderful view of the sunset at the end of the event. * Anheuser-Busch’s local beer distributer Wayne Densch Inc offered free taxi rides home for those who may have enjoyed a little too much at the festival. * I was hoping for more fun bacon-related interactions. 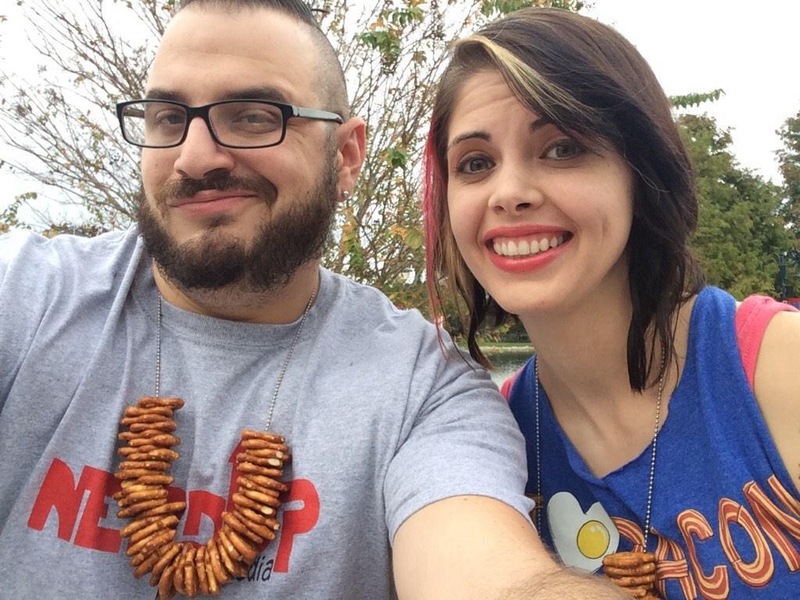 Fun booths with games or bacon themed crafts. * I found some of the food vendors to be a bit pricey for what they were offering. Mostly for the fact that I knew the quality was not going to be good because they were either pre-cooked dishes or thrown together. I passed up on a lot of the food even based on the quantity I saw others were receiving for the higher priced goodies… not impressed and I wasn’t going to waste my money at the festival. I found myself more interested in the beer samples I already purchased with my wristband than trying to waste more money on food I was already raising an eyebrow at just by a visual review. * I wanted more photo opportunities. I’m a sucker for Instagram and photo sharing….I’m a girl with a camera phone and a blog, it’s what I do. Ric and I only got pictures with the cut out pig they had. And that was located next to the speakers down by the DJs. I had to wait until there was a song on with less beat so I could stand near it long enough without making my ears bleed. And yes, I’m sure they had it there for a reason. 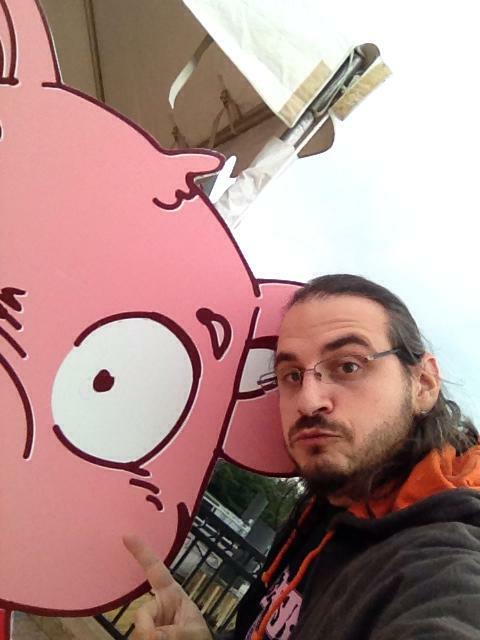 Ric and the Big Pig. * It was odd to see the PowerHoopz booth. I don’t want to talk about staying in shape while I pour unlimited beer down my throat and shove bacon in my mouth. * Whole Foods Market brought Vegan Bacon and Chocolate Chip Cookies to the event. Yes they were only $1 for a big cookie, but why vegan bacon?? 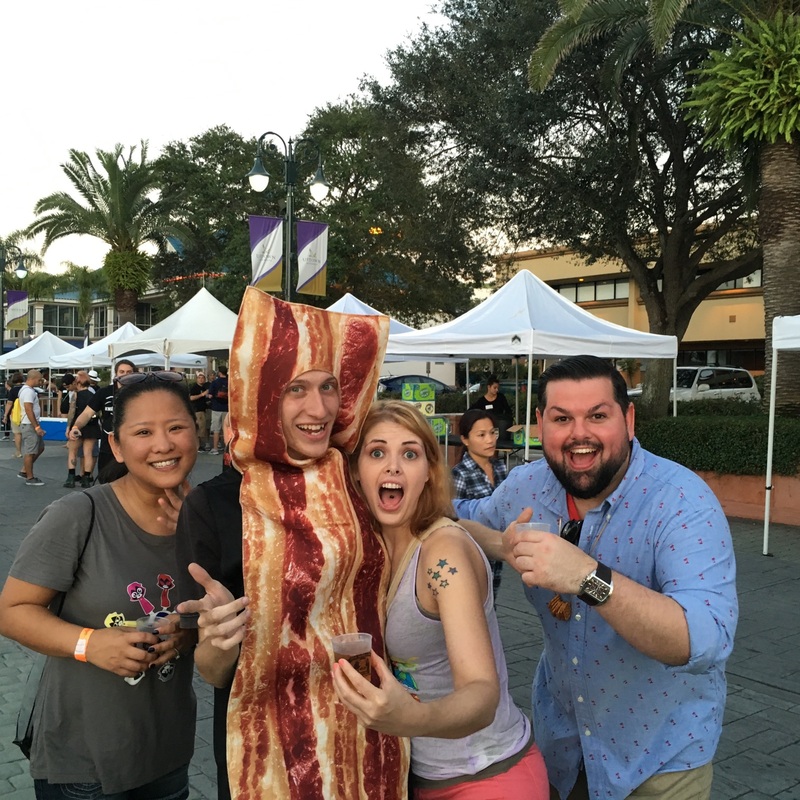 It was a beer and bacon festival, no one was expecting you to cater to the vegans. * I would fill the vendor list with only beer and bacon related products/services. Forget the laser correction for your eyes, but cigar definitely fit in. 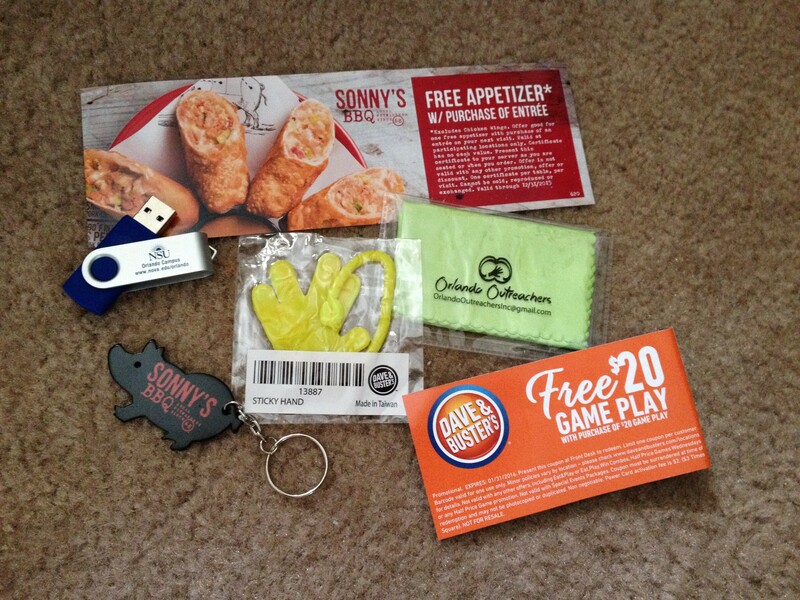 * Offer more of a selection of quick, simple, cheaper food selections. Those are the ones that are rarely disappointing at a festival. An argument could be made that something different should be tried. I agree, but be wise when making decisions on the food selections for an event. Take the type of event that is at hand. Ale House offered simple selections, but something different also with the Watermelon and Bacon Salad. This wasn’t a food truck event, this was a beer festival with food to buy. * I would have loved more interactive booths. Things to do is always fun. I was pretty darn impressed with the event. I may have listed some disappointments that made it seem as though I was picking it apart, but nothing is perfect and well… I had to list something. I really did have a great time hanging out with my husband and family at the festival. 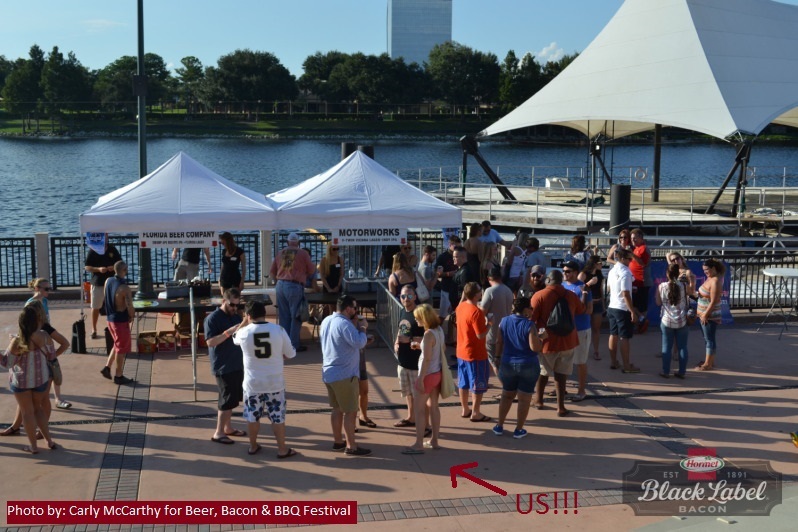 I saw this event as a “Beer Fest” that simply offered bacon vendors to buy from. And seeing the event in this way made it one of the best festivals I have been to. It was well organized and offered exactly what they advertised. They were upfront about parking, time, food offered, and prices. 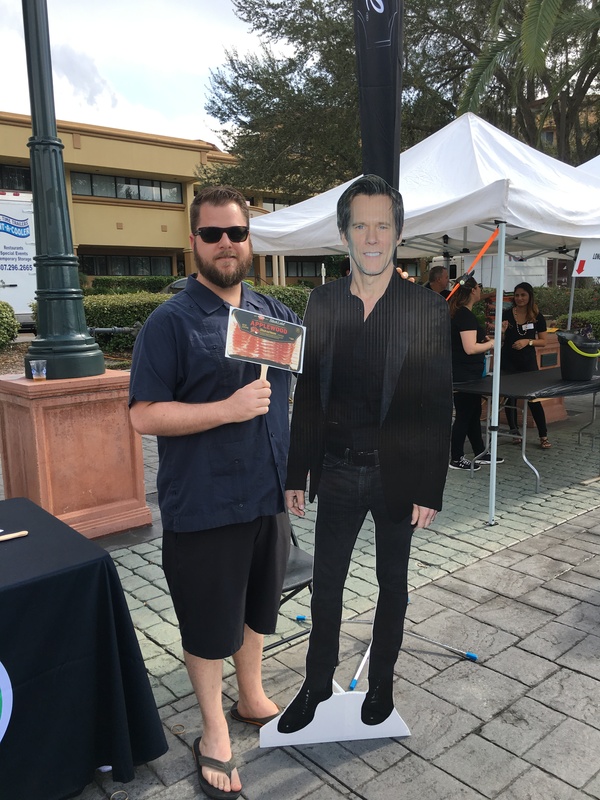 You may think I am being a little dramatic, but please keep in mind – I recently went to a Bacon Festival that was unorganized and falsely advertised. It was nice to go to an event that gave you exactly what they said. I’m really hoping it returns next year. 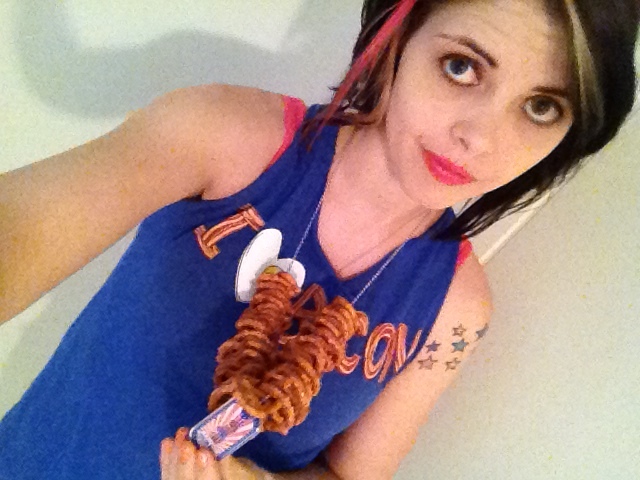 I hope to indulge in more bacon treats next time.